I mustache you if your baby is a messy one? 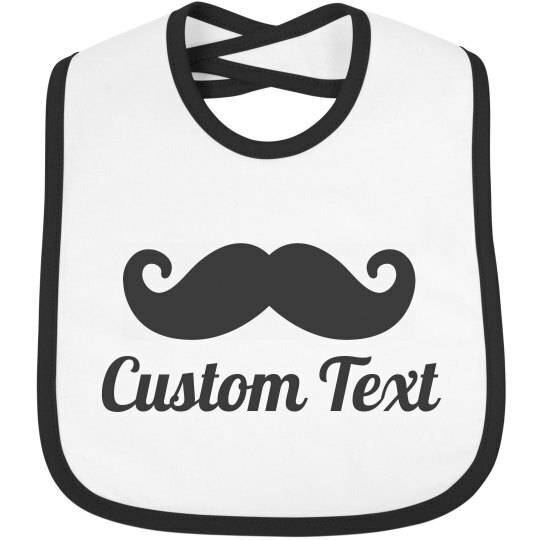 Most likely... so why not get him or her this baby bib to keep things a little bit cleaner. Customize it with your son or daughter's name, or any other text to make things a little more funny when it's lunch time.